Unwanted clutter can swamp your hard drive and slow down your PC’s performance. I will show you how to keep your computer free of rubbish. Think of your PC like a house: no matter how much space you have it will soon start to fill up with clutter, if you don’t keep on to of it. If you are not careful your computer will have files everywhere and no space for new stuff. Even new PC’s can come pre-loaded with gigabytes worth of junk by the manufacturer, the hard drive will be stuffed with trials or utilities they think you want but none of us tend to use. It’s not just the space junk files take up, having to much junk will also drastically slow your PC to. I am going to show you how to clear out all the rubbish and speed up your PC, I have created regular maintenance tasks that you should do daily, weekly or monthly, even if you are getting a new PC. I have also picked some of the best free utilities that will help to make cleaning your PC easy. You would think you don’t have to remove any junk from your brand new, factory-fresh PC, but that is not the case. PC manufactures have very small profit margins and the way they get a little more profit is pre-loading your PC with trial versions of various applications, and they then take a cut if you go on to buy the full program. A good example of this is almost every new PC will come with a pre-installed 30-day trial of a paid for internet security suit, even though windows 8 now comes with its own built in antivirus protection and there are also some very good free alternatives. Manufactures will sometimes install their own utilities on your brand new PC too. Own branded diagnostics tools are a common favorite, but all they tend to do is waste space if you never use them. Lenovo is a good example of this as they pre-install no fewer than six different utilities on their new PC, at least half of these are just a waste of space. This so called ‘creapware’ does not only take hard disk space but it can some times double the time it takes for your PC to boot as it can have unnecessary programs to run at start up. 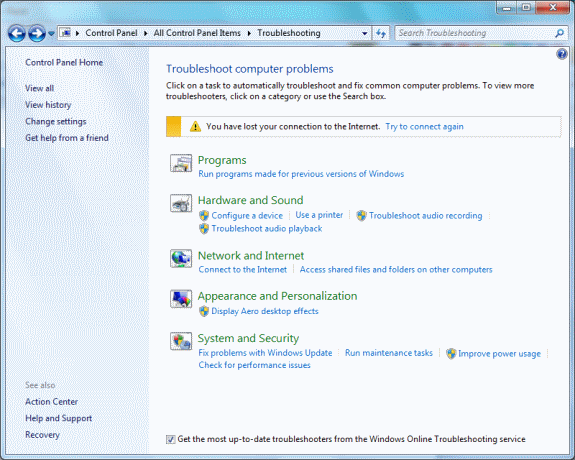 You can use the ‘Uninstall a program’ tool in the control panel of windows to uninstall programs you don’t want or need, but even on a new PC it’s not always easy to see what you do or don’t need and if a program is worth keeping. Slim Computer is a very handy and free utility that will scan your computer and identify any unwanted programs like, applications, browser tool bars and programs that run at startup. You can tell Slim Computer just how ruthless you want it to be when identifying unwanted programs, when you run it for the first time. 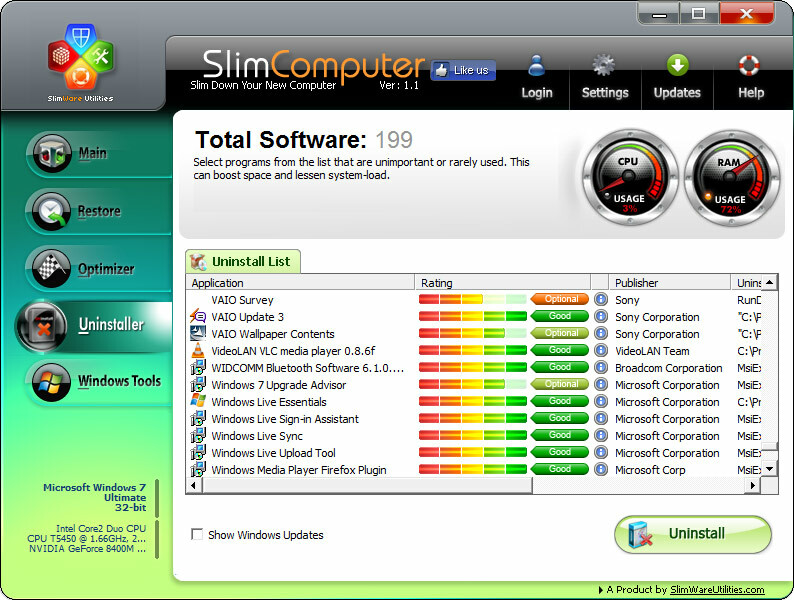 Slim Computers best feature is how it uses community ratings into the uninstaller tool; this helps it know how useful installed programs are as the community provides feedback and reviews of the software and reasons to keep it, these are all stored on online so you can always get the most up today information on the programs unlike other uninstallers which use a pre-loaded database. The info is shown using a sliding scale where red is waste of space and green is good, to get additional information click on the “more info” button. The other good feature of Slim Computer is when you have finished with it you can simply uninstall it or even better, click on settings and then choose Portable Version, which will then install Slim Computer on a USB Drive, so you can use it on all or your computers and it won’t take up any hard drive space. Manufactures have a habit of pre-loading your new windows 8 or 8.1 PC with apps as well. Removing them is easy if you don’t want them, open up the All Apps view in Windows 8.1 by clicking on the down arrow in the bottom left hand corner of the start screen (Windows 8 users will need to right click the Start Screen and select All Apps), then you simply right click on any unwanted App, and click Uninstall. If you have ever upgraded Windows OS rather than buying a new brand new PC, somewhere on your hard drive you will find a large file called Windows.old, this would have all the data from your previous copy of Windows. If the upgrade went smoothly all of your old files and setting should have been copied over to the new copy of Windows so this means you can delete the file Windows.old (but I would still give it a few days just to make sure all if fine). 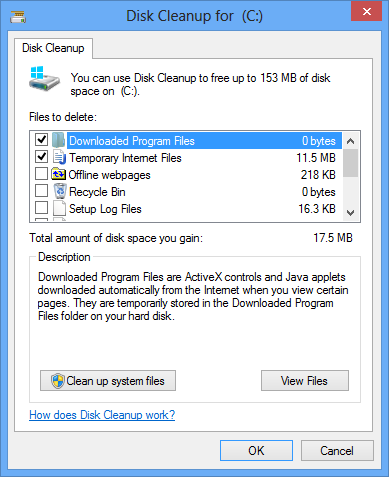 The best way to delete the Windows.old file is through the disk cleanup tool (Start, my computer, and right click on the :c drive and click properties, then disk cleanup), once it has done its checks make sure that ‘Previous Windows Installation’ box is ticked and click clean. There really is not that much maintenance that you need to bother with on a daily basis, its more ‘best practice’ than ‘absolutely essential’. The first thing I would recommend you do is clear the Desktop of any unnecessary files/folders before you turn off your computer. Try to think of the Desktop as a loading bay: were you would store all your temporary files till you decide where you are going to keep them. The Desktop should never be used as permanent storage area. What tends to happen is people would use the desktop as a dumping ground for downloads and files taken off a USB stick and of cause shortcuts to programs, over time the desktop can look cluttered, with icons everywhere. Try and get in the habit of clearing your Desktop at the end of each use, if files need to be kept on the Desktop keep them in a folder. Delete any shortcuts you don’t need. 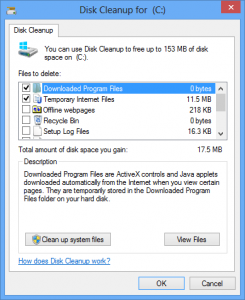 Windows XP has a Desktop Cleaning Wizard that will suggest items that can be removed, how ever in windows 7 and 8 this was moved to the System Maintenance tools. 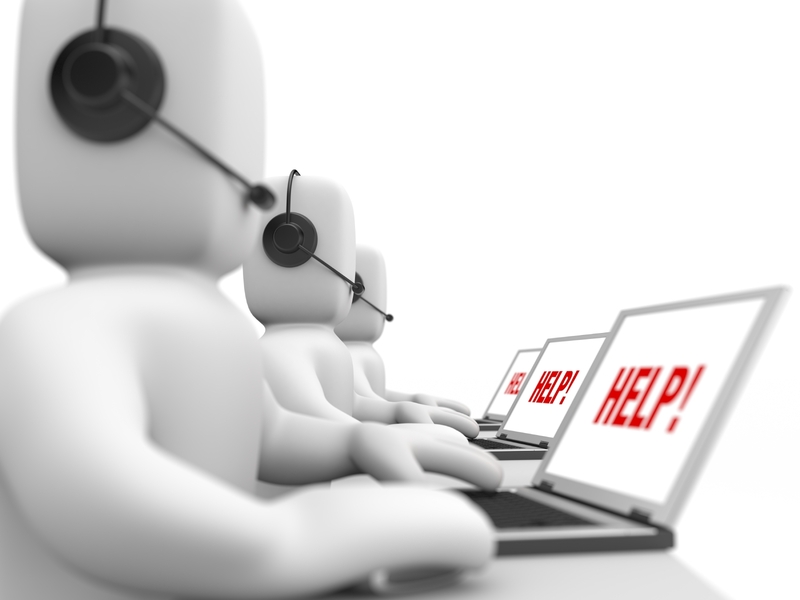 The other simple task I would suggest is rebooting your PC, Many people simply leave their PC’s switched on for extended periods of time, or put their laptop into standby mode by simply shutting the lid. Doing this can lead to programs and processes accumulating in the background and this can slow down your PC, if you press Crtl+Alt+Delete on your keyboard, this will open up Task Manager, by clicking on the Performance tab you will be able to see which programs are hogging the most memory. By doing a Reboot this will stop all processes and programs running and give you back your lost memory. Get in to the habit of shutting down your PC when you don’t need to use it, as this will help clear out the temporary clutter it stores. It will also help stop the windows update asking you for a restart. Sometimes your PC will get clogged up with thing you did not even know were there in the first place. You should always be careful at what is being installed when installing a new piece of software, epically if you have downloaded it, make sure there are no pre-ticked boxes as these will normally install other software on your PC. Apple is a good example of this as they are always trying to impose QuickTime Player or Safari when you download iTunes. Below I will show you how to identify and remove any unwanted applications. Sometimes the things that sneak on to your PC can be harder to remove. I am talking about things like spyware, which sit in the background and collect personal data, or adware, that will pop up annoying adverts at random intervals. Both of these will consume disk space and take system resources like ram, you should remove them as soon as possible. A good Anti-virus should guard you from both, so make sure that its scheduled to do a full scan at least once a week to help protect your self and find any unwanted guests. 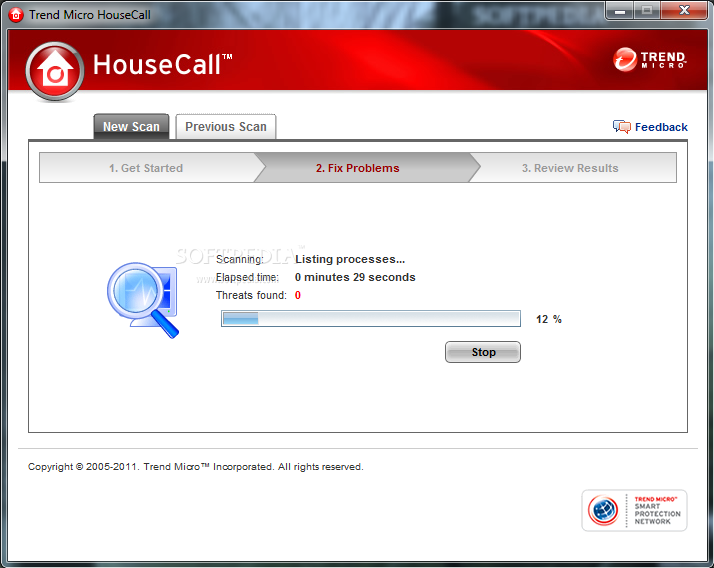 Trend Micro’s HouseCall is a free browser based malware scanner that can help to root out spyware and unwanted web browser plug-ins, and it does not need to be installed on your PC. However this is not a replacement for a good antivirus program as they will always be monitoring your PC but is handy if you just want to double check your existing software or think it might of missed something. Browser toolbars are another good example of junk software that companies can install without you knowing. A good example is Oracle’s Java as this will install the Ask toolbar on your browser and change the default search to Ask unless you specifically un-tick boxes when installing. Before you know it your browser can become cluttered with all sorts of unwanted buttons and menus you will probably never even use or even asked for. You can delve into your browser’s settings and manually remove the toolbars but sometimes the menus are hidden away. Slim Computer can help you remove them, open Slim (you should have it installed on a USB if you followed my advice earlier), and click on the Browsers button on the left-hand side. Doing this will scan all the browsers installed on your PC and will reveal all toolbars, plugins and extensions that are installed on each of them and a rating on how useful each one is. To remove you simply tick the box alongside any thing you don’t want on your Browser and then click Remove Selected. Slim Computer will also tell you if your default search engine has changed and if it has will let you switch back to your default one. The other thing I would recommend you do weekly is emptying the Recycle Bin. If you delete a file in windows it will just shift it to the Recycle Bin, where is tends to sit wasting as much space as it did before. You will have to manually empty the Recycle Bin to get back all the wasted space. To do this you right-click on the Recycle Bin and select ‘Empty Recycle Bin’ however if you don’t want to keep emptying the Recycle Bin you can tell windows it bypass the Recycle Bin, by right-clicking the Recycle Bin, then selecting Properties and then tick the option to ‘Remove Files Immediately’. I would not recommend this as there is no way to get anything back you might accidentally delete as you wont be able to restore it from the Recycle Bin. Monthly is the right frequency to do a proper clear-out, so you should set aside a few minutes each month to clear out all the junk that your PC has accumulated over the past few weeks and get rid of any space-hogging applications that you don’t need or use anymore. The right software will help make this easier. Glary Utilities is a very useful tool and has recently been updated with a fresh new look, it can be used for clearing disk space and preventing programs from slowing your PC. You can buy the Pro version for around $29.95 (around £18), the Pro version includes automatic updates, technical support and a few other benefits. The free version is very handy to have to. Now its time to find out what is taking all of your hard drive space. Click on the little pie-chart icon at the bottom of ‘Glary Utilities’ on the main menu, this will then open the Disk Analyzer. Windows can be really bad at showing you what’s eating up your hard disk space, but Glarys Disk Analyzer will quickly identify the disk hogs. Click on the disk you want to scan this would normally be the C: drive, and click OK. Once it has done, you will be shown a breakdown of all the folders on your PC, they will be ranked in order of how much space they take in your PC. In most cases, the Users folder – were you store all of your documents, photos and music will be at the top, if you double click on the folder it will then show you each individual user (that is if you have different users), this will allow you to see which user is using the most disk space. Double-click again and it will show you the type of files that are taking up the most space, doing this will help you find out what is taking all the space and delete any files or folders you know longer need or want, but you also need to remember to empty the Recycle Bin afterwards. Glary Utilities also has an excellent Uninstall Manger, and can be found by clicking on the Recycle Bin-like icon on the main menu. Its very similar to Windows’ own ‘Uninstall a program’, but Glary own version comes with couple of very handy filters on the left-hand side so you can easily identify Large Programs that are taking up the most space, the best feature is the Rarely Used Programs. To remove a program you no longer want, just click on it to highlight it and then click the Uninstall This Program button in the bottom right of the screen, but don’t get confused with the Remove Entry button at the top – all this will do is simply remove the item from the list, not your PC. Duplicate files can take up significant amounts of disk space. 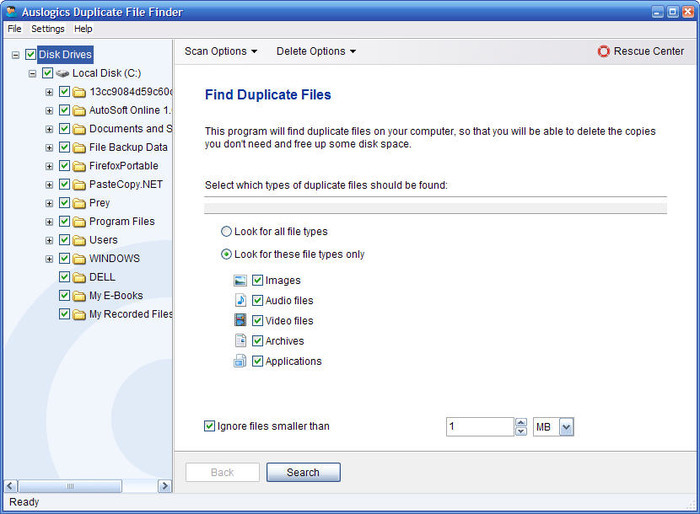 Glary has a duplicate file finder witch can be found in its Advanced Tools section, but its one of the only few tools that is unreliable and awkward to use. I would recommend Auslogic Duplicate File Finder witch is also free, it now also supports Windows 8.1 thanks to and update. During the installation you need to be careful and make sure you untick the options that will try and install other Auslogic products. Once you have it installed you can then select which type of files you want to search for, what size to search for and were you would like to put the duplicated files – but don’t worry as no files will be deleted until you have had time to review them. Once the scan has finished, you can right-click on the file and the select Open to view it. Once you are happy the file is a true duplicate press the arrow and choose Select All Duplicates and simply press Delete, and all the duplicates will go to the Recycle Bin. The Downloads folder is were everything you have downloaded will normally end up. If you leave it to build up, it can easily contain gigabytes of unneeded files. Go through the folder and delete anything you are sure you won’t need anymore. 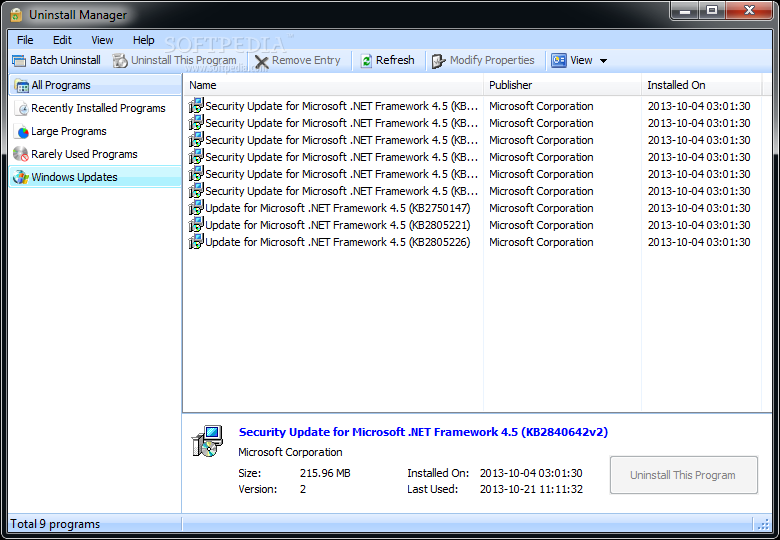 This folder will often contain the installer for all the programs you have downloaded. It’s perfectly safe to delete these (they would normally have ‘setup’ or ‘exe’ at the end of the filename) if you have already installed the software. Many PC’s have been ruined by someone who has deleted a file or folder they did not recognize. If in doubt you should always leave it alone, you should never delete anything that is stored in the Windows folder on your hard drive, unless you are absolutely sure you know what it is. Clean-up tools like Glary Utilities will find and dispose of any unnecessary Windows files for you. There are loads of paid-for and free tools that are dedicated to cleaning the Windows Registry (your PC’s database of setting and configurations). Many of the general cleaning tools like Glary Utilities or CCleaner Free will include a Registry cleaner, so there should be no need to buy and download a separate one.